(attached to the Regimental Recruiting Team in London). Drummer Lee Rigby or ‘Riggers’ to his friends was born in July 1987 in Crumpsall, Manchester. 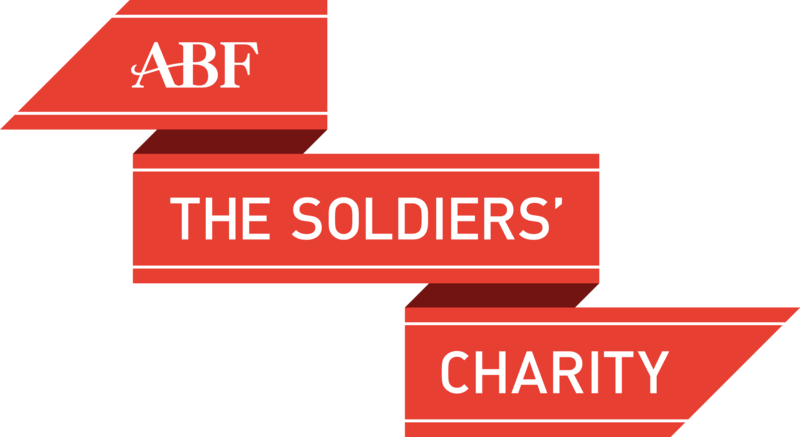 He joined the Army in 2006 and on successful completion of his infantry training course at Infantry Training Centre Catterick was selected to be a member of the Corps of Drums and posted to 2nd Battalion The Royal Regiment of Fusiliers (also known as the ‘Second Fusiliers’ or ‘2 RRF’). His first posting was as a machine gunner in Cyprus where the battalion was serving as the resident infantry battalion in Dhekelia. Having performed a plethora of tasks while in Cyprus, he returned to the UK in the early part of 2008 to Hounslow, West London. Here, Drummer Rigby stood proudly outside the Royal Palaces as part of the Battalion’s public duties commitment. He was an integral member of the Corps of Drums throughout the Battalion’s time on public duties, the highlight of which was being a part of the Household Division’s Beating the Retreat – a real honour for a line infantry Corps of Drums. In April 2009, Drummer Rigby deployed on Operations for the first time to Helmand province, Afghanistan, where he served as a member of the Fire Support Group in Patrol Base Woqab. On returning to the UK he completed a second tour of public duties and then moved with the Battalion to Celle, Germany, to be held at a state of high readiness for contingency operations as part of the Small Scale Contingency Battle Group. In 2011, Drummer Rigby took up a Recruiting post in London where he also assisted with duties at Regimental Headquarters in the Tower of London. An extremely popular and witty soldier, Drummer Rigby was a larger than life personality within the Corps of Drums and was well known, liked and respected across the Second Fusiliers. He was a passionate and life-long Manchester United fan. 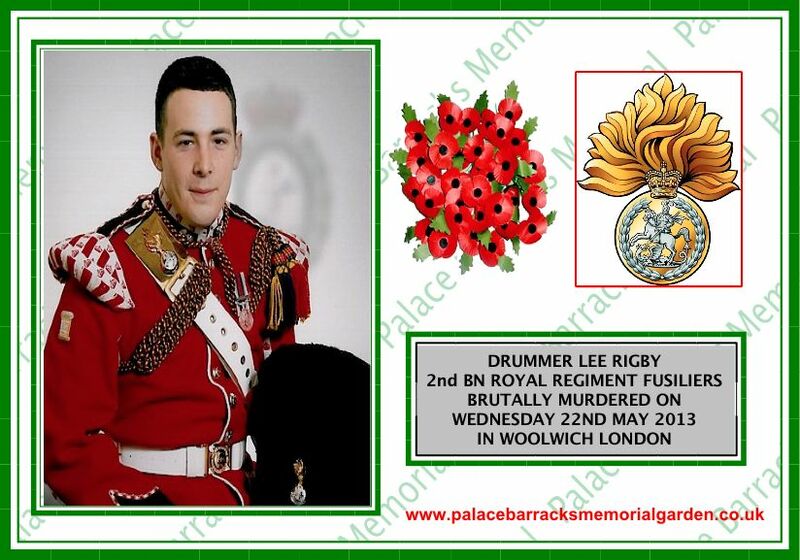 Drummer Lee Rigby was a dedicated and professional soldier. He was a real character within the Second Fusiliers. Larger than life, he was at the heart of our Corps of Drums. An experienced and talented side drummer and machine gunner, he was a true warrior and served with distinction in Afghanistan, Germany and Cyprus. 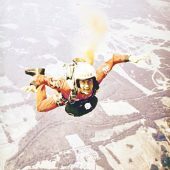 His ability, talent and personality made him a natural choice to work in the recruiting group. He will be sorely missed by everyone in the Second Fusiliers. Our thoughts and prayers are with his family and friends at this incredibly difficult time. Once a Fusilier, Always a Fusilier. Drummer Rigby or ‘Riggers’ as he was known within the Platoon was a cheeky and humorous man, always there with a joke to brighten the mood, he was an extremely popular member of the Fire Support Group (FSG). An excellent side drummer and highly competent machine gunner, he was always there to help out the younger members of the FSG whenever possible. His loss will be felt across the Battalion but this is nothing compared to how his family must be feeling at this difficult time, our thoughts and prayers are with them. Once a Fusilier, always a Fusilier. Riggers is what every battalion needs. He was one of the Battalion’s great characters always smiling and always ready to brighten the mood with his fellow Fusiliers. He was an excellent drummer and well respected within the Drums platoon. He was easily identified whilst on parade by the huge smile on his face and how proud he was to be a member of the Drums. He would always stop for a chat just to tell me Manchester United would win the league again. My thoughts are with his family and they will always be part of the Fusilier family. Once a Fusilier, always a Fusilier. Drummer Rigby was a loving father, with a very bubbly character. He was an excellent Drummer, loved his job and was a highly popular member of the Platoon. He had served in Afghanistan as an FSG Operator and was very diligent in his work. He was always around when needed and will be sorely missed by all members of the Second Fusiliers Corps of Drums. Once a Fusilier, always a Fusilier. What can you say? Far too sad and sickening…cowardly; our thoughts are with his family, his mates and his Regiment. God Bless you and God keep you at rest and peace Lee. We are at the Eltham hill ciu club and members of the British legion and are raising money to put towards his son jack if there are is such a fund could you please let me know and please pass on our condolences to his family. We are at the Eltham hill club and are members of the British legion and would like to make a donation to either his son or the garden.